The promo for the upcoming web show “The Love Shack TV”. Hosted by Dating, Relationship and Body Language Expert Katia Loisel-Furey. The final in the series of five expert conversations, Leading City forum focused upon governance and implementation measures that foster greater collaboration, an evidence base and demonstrate greater certainty for all stakeholders. Nominated for Best Venue of the Adelaide Fringe in 2011, Gluttony is back in 2012 as the boutique festival destination for showgoers, party people, artists and lovers of the finer things in life. 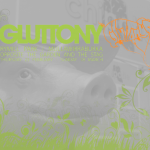 From Thursday 23 February until Sunday 18 March, you’ll find Gluttony in Rymill Park (Mullawirraburka), right in the heart of Adelaide’s festive East End. Pull up a beanbag under the trees, enjoy a glass of wine and indulge in Gluttony’s unique, relaxed vibe.